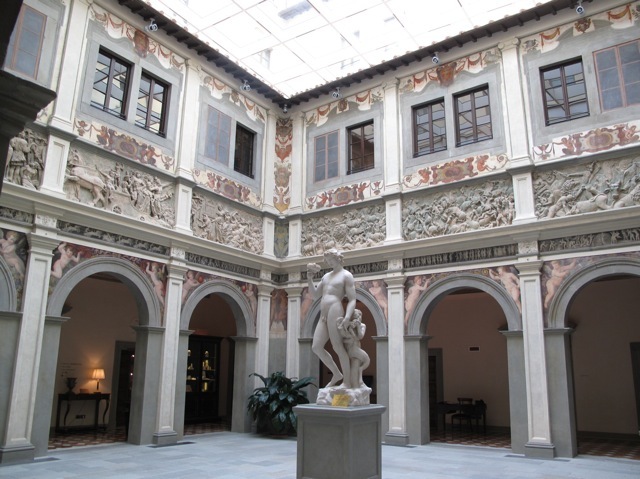 The Four Seasons Florence is an absolutely amazing hotel. The rooms are beautiful and overlook a 11 acre garden. The elegant hotel is comprised of two historic buildings, which opened two years ago after extensive renovations and are on either side of the hotel’s private 11-acre park. The whole property is absolutely fantastic, from the gorgeous grounds and pool to the beautiful spa. The staff is very attentive and the cuisine was wonderful. The restaurant was so good that ate at least once per day in the hotel restaurant. The location is about 5 minutes walk from the center. It is located in a residential area which is nice an quiet. I preferred the location then being at one of the touristy hotels located near the Center.